Great find from @mgillet onTwitter. 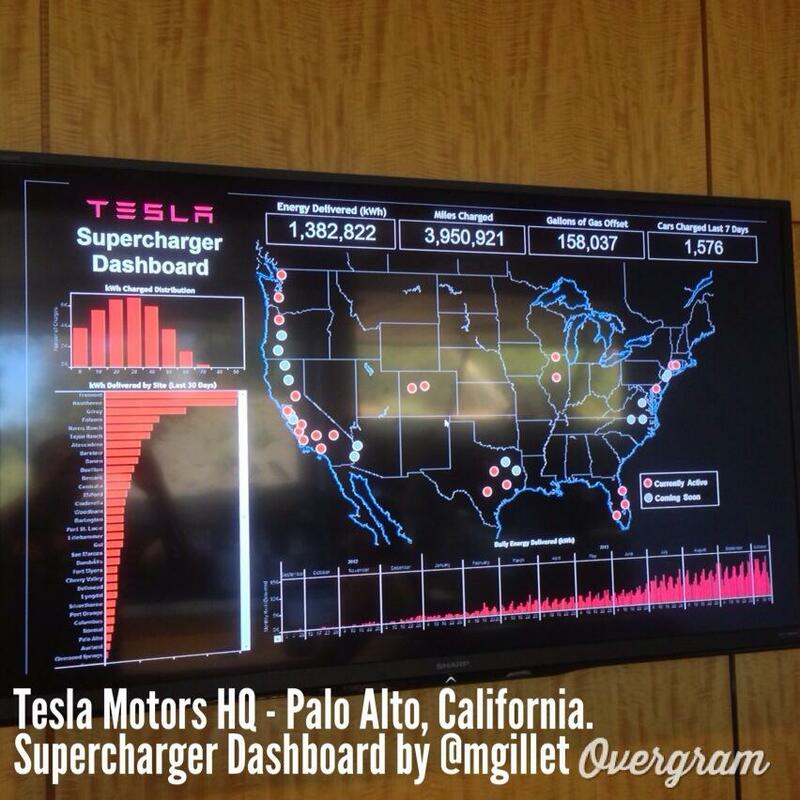 This appears to be a Tesla dashboard at the headquarters showing significant growth in charging over the past few months. More importantly, we some highly anticipated charging stations ‘coming soon’. Probably most exciting for Tesla is the Oregon and northern California stations that will close the I5 corridor meaning the West Coast will be covered. Also two stations on the California/Arizona border will allow trips to/from Phoenix and LA/San Diego. You’ll notice that two stations, one in Colorado and one in Texas, are lit up even though Tesla hasn’t pushed to the Supercharger Station website Map, below. 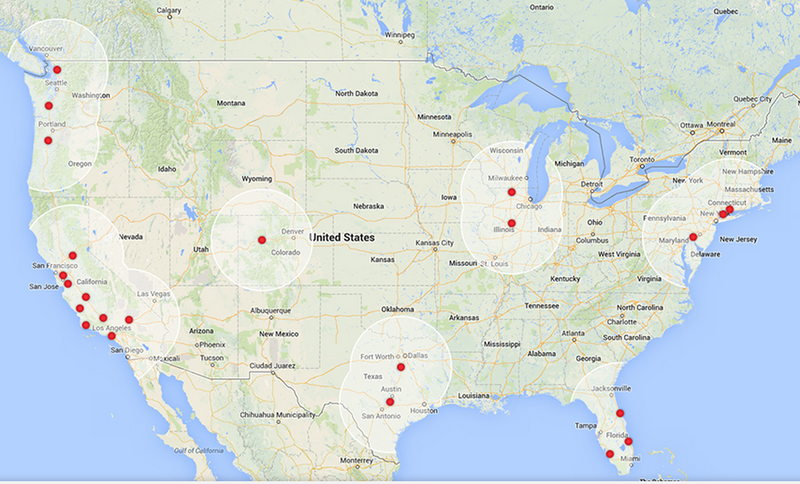 Texans will get two more Supercharger stations in Eastern Texas linking them to Arkansas and Louisiana. East coasters will get a couple in Northern New Jersey as well as Virginia and North Carolina allowing folks in Vermont/New Hampshire to travel to the Carolinas and vice versa. Fremont (Tesla Factory) and Hawthorn in SoCal seem to be far and away the busiest Superchargers with Gilroy coming in third over the last 30 days. Unsurprisingly, most people put 20-40kWh into their Teslas during a stop. Which has saved nearly 160,000 gallons of gas.